Churches often emphasize ministries with youth, young adults, and families as an investment in the future, but older adults contribute to church health and provide significant opportunities for meaningful ministry. One of the students cited a typology of older adults used by Walter Schoedel in an article in the Concordia Journal. He describes three groups of older adults based on their independence, interests, and matches them with ministry opportunities. The Go-Go's are independent, active people who may be working part-time or full-time. They love to travel, eat out frequently, and engage in sports. These individuals seek educational and spiritual opportunities and do hands-on ministry. In many churches, they play an essential role as teachers, leaders in community ministry, and in administrative tasks. The Slow-Go's are in transition. Their energy levels are waning, and health issues may require them to slow down. Even so, they still enjoy educational programs, worship services, and ministry opportunities. They are the folks who show up on a wintry Sunday morning when younger people and families stay home. The No-Go’s are dependent people who are homebound or in a care center. They seldom get to church, but still desire to fellowship with others and to be involved in community. They can also remind the church what it should be--a caring and hospitable community. Although some older adults may be offended by these labels, the terms identify the different stages in the older adult life cycle. I readily admit that I am a Go-Go who is moving into the Slow-Go category! The key to Schoedel’s typology is that we should remember that older adults are not a monolithic group. They have varied needs and contribute to the congregation in different ways. If they are believers, they still want to be engaged in their congregation, but the manner of involvement is contingent on many factors. Older adults not only provide service to the church, but they can offer wisdom and guidance during times of major change. If given the opportunity, they can embed a legacy of hope and integrity in the congregation. If you are like me, most days you receive one or more appeals to fund some organization. Usually we know little or nothing about those organizations. Let me share a request today for one that is important to me personally, one you probably know something about and whose mission may impact you and your church. Recent actions of the Cooperative Baptist Fellowship Governing Board related to hiring have been disappointing to many of us. The Hiring Policy itself is a very positive step, but the implementation plan adopted is discriminatory. This has harmed the Cooperative Baptist Fellowship movement in many ways. Some conservative churches and organizations who reject the openness of the Hiring Policy will no longer support the Fellowship, while progressive Baptists and churches who love and embrace all people feel that their stance has been rejected, so they are taking similar actions. Churches on all sides of this situation certainly have the freedom to choose what causes they will support. This is part of our Baptist polity. Because of the way the CBF movement is structured, state and regional CBF organizations will be impacted by this in different ways. Tennessee CBF does not and has never had a hiring policy which discriminates against people. The goal of the TCBF Coordinating Council has always been to try to employ the best people available for paid staff positons including Coordinator. Tennessee Coordinator Rick Bennett is not employed by the national organization but by Tennessee CBF. He is responsible to the state Coordinating Council. Rick works directly with churches in Tennessee as they seek to do Great Commission work. His salary and the funding for the state organization comes from churches in the state. Unfortunately, churches in Tennessee who have chosen to terminate their relationship with National CBF do not realize that Tennessee CBF is a separate entity. I have never used this blog to seek funding for any organization, but I encourage you to consider how you and your church can support the Tennessee Cooperative Baptist Fellowship. First, check with your church leadership and make certain that a portion of your mission dollar goes to TCBF. Second, support the work of TCBF through a personal monthly contribution. Go to tncbf.org and click on the "GIVE" tab or go directly to the gift page. One of the great blessings of my ministry was the opportunity to serve Tennessee churches as the first full-time coordinator of TCBF. I encourage you to continue to support this organization and its Coordinator in furthering the work of the Kingdom of God in Tennessee and around the world. It’s time to step up and make a choice. What we interpret as offices are really gifts that have a function in the Body of Christ to develop or equip mature believers. These various gifts embody some of the skills we use in coaching, walking beside people as they discover, define, and pursue what God has in store for them. We are seeing these coaching skills being used in many ways within churches and denominations today. In denominational networks, coaches are being provided for church planters, young leaders, individuals wishing to improve their financial literacy, and congregational leaders. 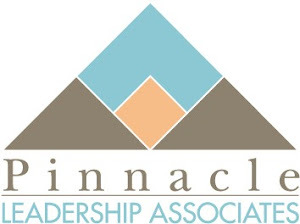 Pinnacle Leadership Associates is currently working with the Wisconsin Conference of the United Church of Christ to train pastor/coaches who will train other pastors to encourage one another and to coach laity within their congregations. In congregations, both external and internal coaches are at work. More congregations see the value of providing a professional coach for the pastor and other clergy leaders for personal, spiritual, and professional growth. The return on this investment is healthier pastors, healthier congregations, and increased pastoral longevity. Both clergy and laity are being trained to use coaching skills to encourage and equip people in the church. In January, I had the opportunity to provide training in Disciple Development Coaching© to the deacons of Freemason Baptist Church in Norfolk, Virginia. They will use these skills in member assimilation, disciple formation, and group leadership. 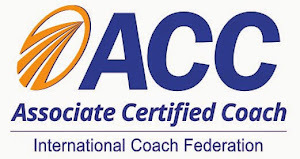 Many seminaries and theological schools are making coach training a part of their curricula or integrating coaching into their courses. In the Doctor of Ministry in Creative Leadership degree at Central Baptist Theological Seminary, both coaching and mentoring are addressed in the course “Understanding Yourself and Others.” The seminary is also providing coaching in its Economics of Ministry emphasis. Is Your Church Ready for Change?